FIDE Master and highly regarded member of our chess community, John Littlewood, has died aged 78. John was born in Sheffield in 1931, the fourth of eleven siblings. He started playing chess at aged 13 and at 16 joined local clubs finding almost immediately that despite not playing chess for very long he could beat almost everyone. He went on to study at Sheffield University, winning three university tournaments and the Sheffield Championship. After his national service John began his career as a French teacher in Lincolnshire. He was invited to the British Championship in York 1959, did well for his first time and was duly nick-named ‘the Lincolnshire poacher’, a name he protested against because he was born in Sheffield. After his good performance in York he was invited to play in the prestigious Hastings tournament in 1961/2 and it was there that he played his famous game against Botvinnik, the World Champion at the time. John started with a strong attack that would have destroyed most players, but then Botvinnik turned the game around and defeated him. 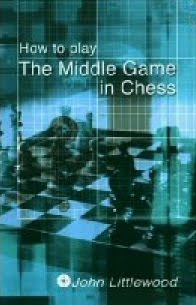 Botvinnik includes the game in his autobiographical “Best Games 1947-1970”. In the same event he played and beat the US GM Arthur Bisguier in 23 moves. After the game Bisguier said “What do they feed this guy on? Raw meat?” John went on to compete in a further 4 Hastings Premiers in the years ahead. 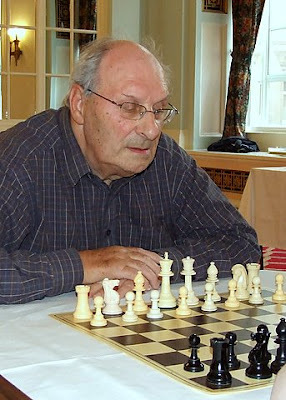 John played in two Olympiads (1962 and 1972), several Anglo-Dutch matches, and European and World Seniors. He is proud to have defeated Uhlmann on two occasions. He also managed the national blind chess team and was at one stage the Director of Junior Chess. His brother Norman also played in four Olympiads and his son Paul is an International Master, having won the British Championship in 1981. Both John and Paul competed in the British Championship in Torquay this year and in total John competed in 19 British Championships, his best score in 1962 being 7½/11. During this year's Championships John would frequently visit the commentary room and with no ill intent, grill Andrew Martin during his commentaries. He always had something constructive to say about the position or game under discussion and would do so in his confident, ebullient manner. John lived in Skelmersdale and had seven children and eight grandchildren. 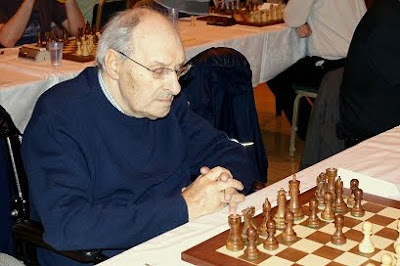 In 2006 he won the British Senior Championship in Swansea after a very hard fought tournament and in 2008 tied for first place in the same event in Liverpool; at 77 he was one of the oldest players taking part. He also had a chess column ‘Littlewood's Choice’ in the ECF monthly newsletter ChessMoves, sending his most recent contribution for publication the night before he died. John was also an accomplished writer and author. His books included ‘How to Play the Middle Game in Chess’ a reissue of his popular middle game guide using examples from contemporary play and ‘Learn Chess: Teachers' Book.1’ co-written with Edward Penn. He also translated ‘Complete Chess Strategy’ and 'Planning The Pieces’ both by Ludec Pachman and ‘Chess Tactics’ by Alexander Kotov. The small sample of games here includes his wins against Gligoric and Bisguier, and his famous game against Botvinnik from the 1961/62 Hastings Premier and his draw against Smyslov at Hastings 1962/63. Many of us knew John through his huge contribution to chess in the Merseyside Region and will be deeply shocked and saddened by his passing. He was a true gentleman of the game, both gracious in victory and defeat. Our sincere condolences to Paul and all his family. John Littlewood's funeral will take place on Thursday 24th September at 3pm at St Helen's Crematorium, Rainford Road, St Helens, WA10 6DF (01744 677406). This will be followed by a reception, to which all are invited, at Holland Hall Hotel, Lafford Lane, Upholland, Lancs WN8 0QZ http://www.hollandhallhotel.co.uk/ (01695 624426).